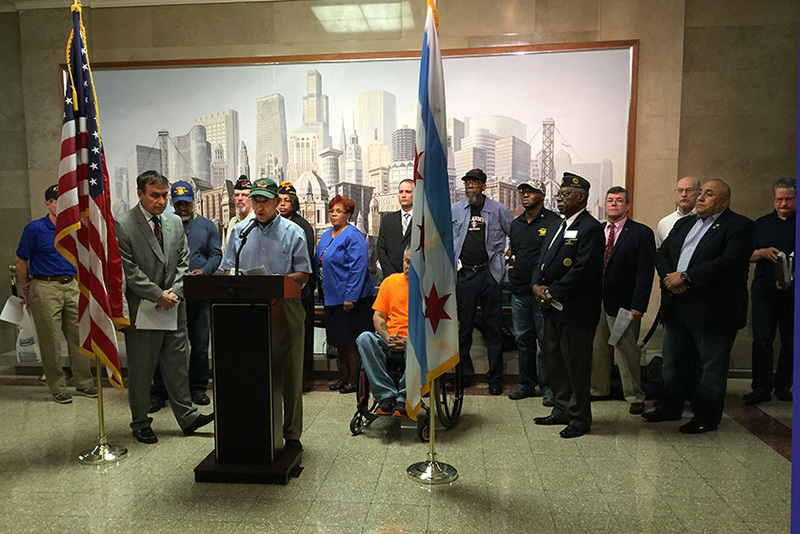 There is no more important case than the State Home for Veterans in Chicago. 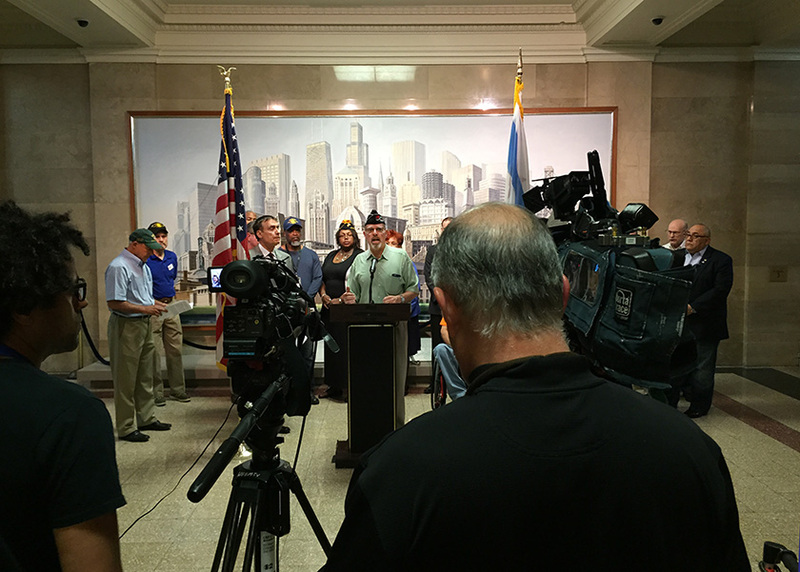 On September 21, 2014, the state broke ground to mark the beginning of construction for the new Illinois Veterans Home at Chicago. Construction later began and was expected to last approximately 12 to 14 months. 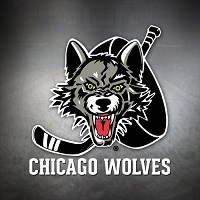 Once completed, the process for setting up and staffing the new facility would begin. On July 1, 2015, our state elected representatives allowed the construction project to stop as part of the state budget stalemate. As of today, it remains at a standstill. The cost of the project is $70.5 million; reportedly, the project is 65 percent federally funded by the VA. Since the project was stopped, it is clear it will cost even more when restarted. Stopping construction of the Veterans Home is completely unacceptable to the veterans of this state and their families. Our elderly, sick and disabled veterans have needed this facility for years. Now, due to politics and squabbles, it remains at a standstill. This is a travesty. 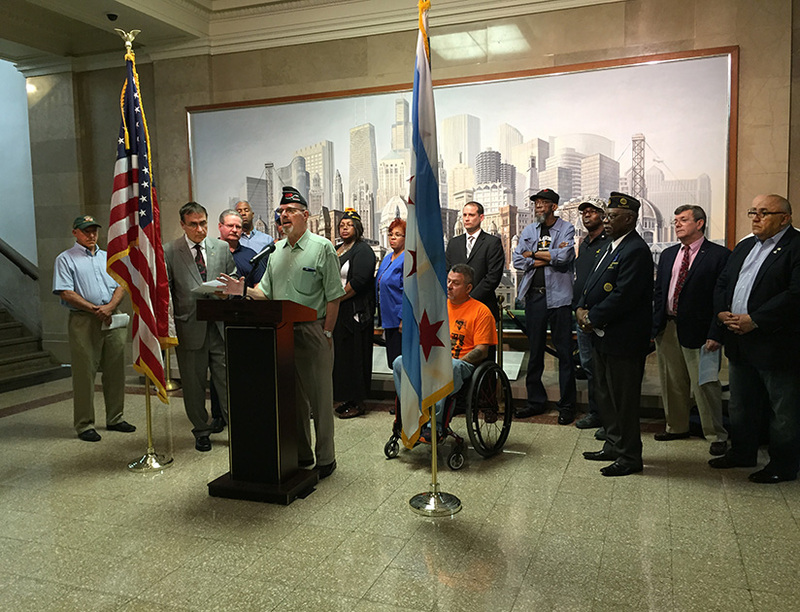 Our veterans deserve better and this is one project that should have not been held up because of politics. We call for a full accounting of those who were taken as Prisoners of War and never returned to this country and those who are listed as Missing in Action. There is no greater travesty for families, loved ones and the country as a whole than to have left behind those who fought for our country and whose fate remains unknown. There are 83,000 missing persons from previous wars and conflicts. 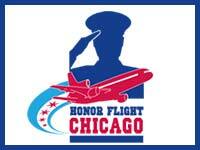 We demand a full and accurate accounting of all those Missing in Action. Additionally, we call for increased support for our Gold Star Families that have lost loved ones in defense of this country. 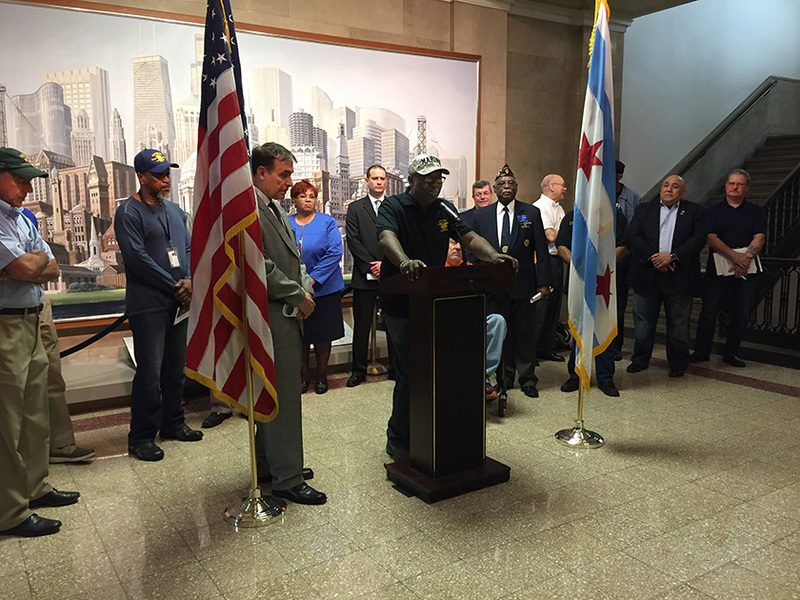 Veterans’ homelessness is unacceptable and is a disgrace to this nation. Reportedly, one-third of all those homeless are veterans. This is a travesty. 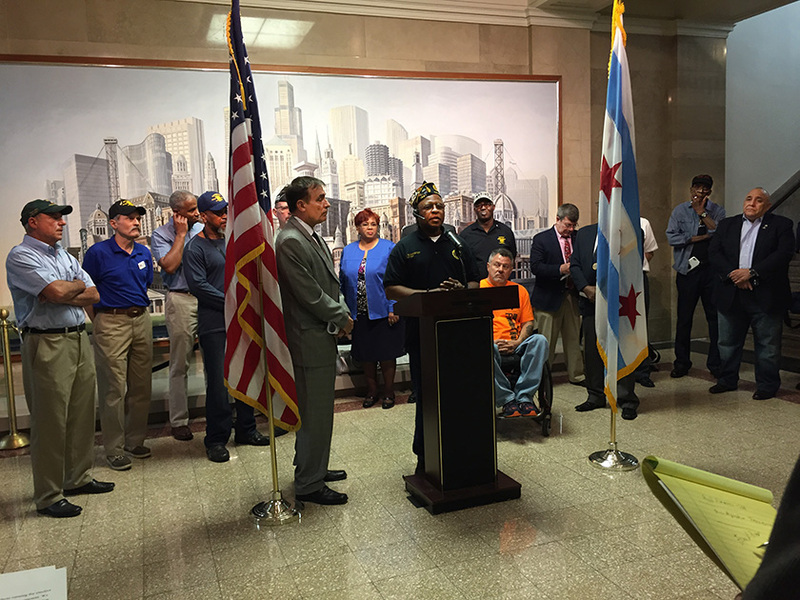 The federal and local governments have, in the past, put forth programs to eliminate veteran homelessness. 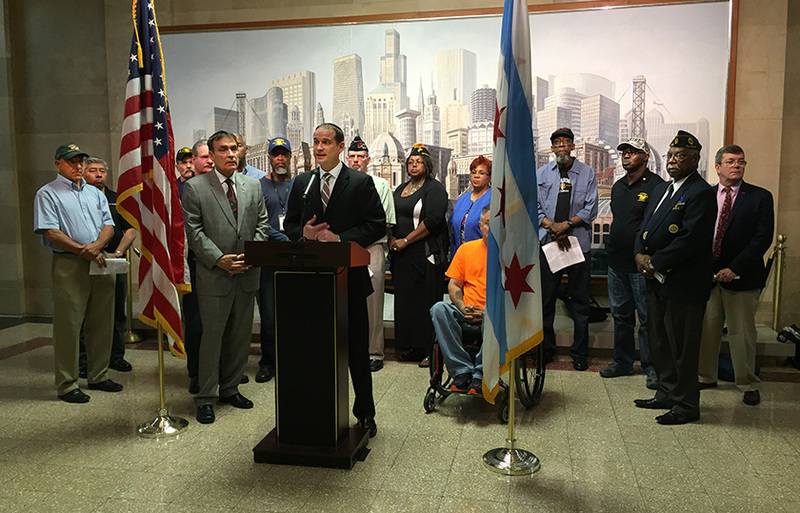 These programs need to be revitalized, made specific and achievable, and to be concretized in order to get all veterans off the streets and into safe, affordable, appropriate, clean and decent housing. This needs to be made a national priority. The transition from military to civilian is a major concern for all those leaving military service and their families. 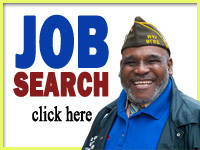 Many are looking for jobs that utilize the skills and talents they developed in the military. Many more are transitioning to school and then into careers. Appropriate, well-paying jobs need to be available to all veterans as they leave the military or complete their schooling. Education benefits need to be enhanced to facilitate military veterans in getting the education that have earned through their service. 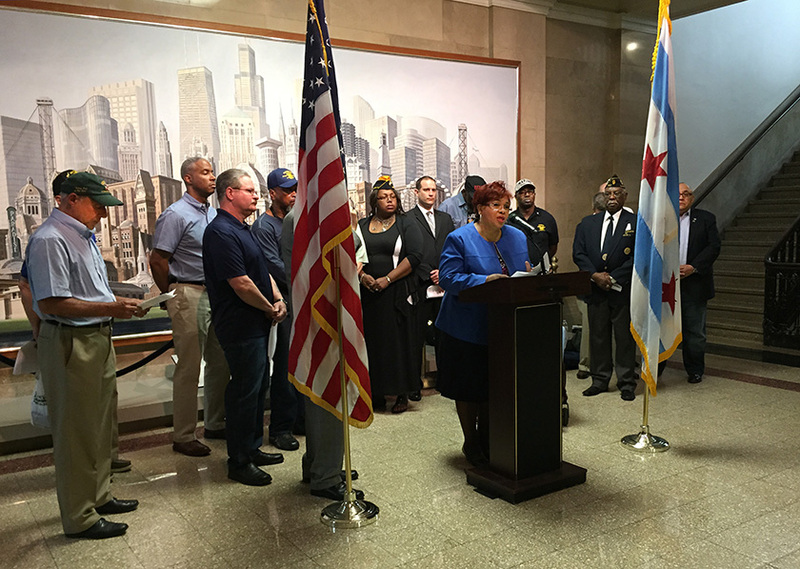 A key point in both these arenas — ending homelessness and transitioning veterans — is to focus the resources available so as to unite the veteran community and the service providers. The current system leaves a Gordian knot of organizations at the federal, state and local levels that veterans find almost impossible to navigate. The problems of former military personnel making it in the civilian world are complex, and we need a one-stop shop for all veterans where they can find access to physical and mental health care, jobs, housing, family services, legal counseling, and case management. Health care is a major concern. You would think that military records would just be transferred to the VA upon discharge. But the military record system — coordinated through the Department of Defense — is not compatible with the Department of Veterans Affairs (VA) system, so veterans’ records are not automatically transferred. This is unacceptable and needs to be corrected. VA health care is excellent, but — like all health care systems, private or public — it has its problems. Some veterans are excluded from receiving VA health care. Geographical limitations keep others from accessing the VA. Dental and visual care and family care are not available to all veterans. These can have devastating effects on the ability of the veteran to find work and to cope with everyday life. VA health care needs to be available to all veterans. And the VA needs to remain intact. 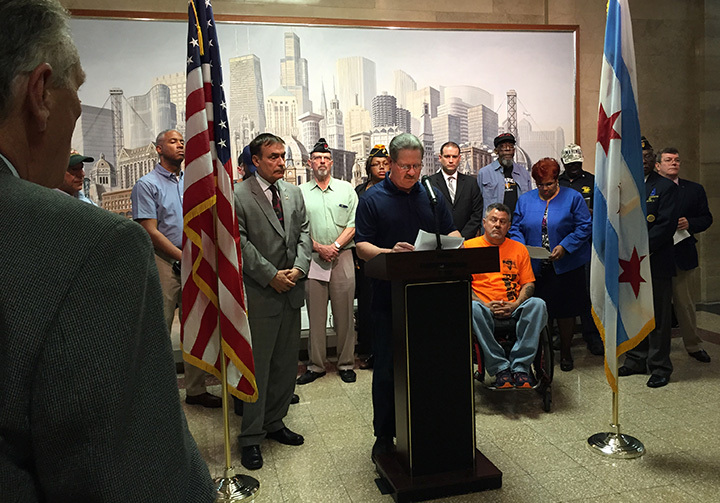 We stand firmly against efforts to privatize any part of the VA. Mental health care is of particular importance. There have been many calls for increased care of Post Traumatic Stress (PTS), Traumatic Brain Injury (TBI), Military Sexual Trauma (MST), substance abuse and other signature injuries of military service and multiple combat tours. It is estimated that 22 veterans commit suicide every single day; this is a major concern that must be addressed.. Along the same lines, the VA needs to correct the dysfunction of the Veterans Crisis Line. The VA needs to rapidly expand the number of practitioners in the mental health field, as it is the most rapidly growing sector of the health care needs of veterans. Overall, VA health care expenditures have grown, but at the same time they have been falling as a percentage of total VA expenditures. This makes no sense. VA health care is crucial to the veteran community. The veterans of this country have earned the specialized care that only the VA can give, oriented as it is to the specific, long-term care of the veterans’ community. Women are now 17 percent of the military. The number of women veterans is growing by leaps and bounds. Women veterans are often the primary caregivers in their families and most single-parent families are headed by women. 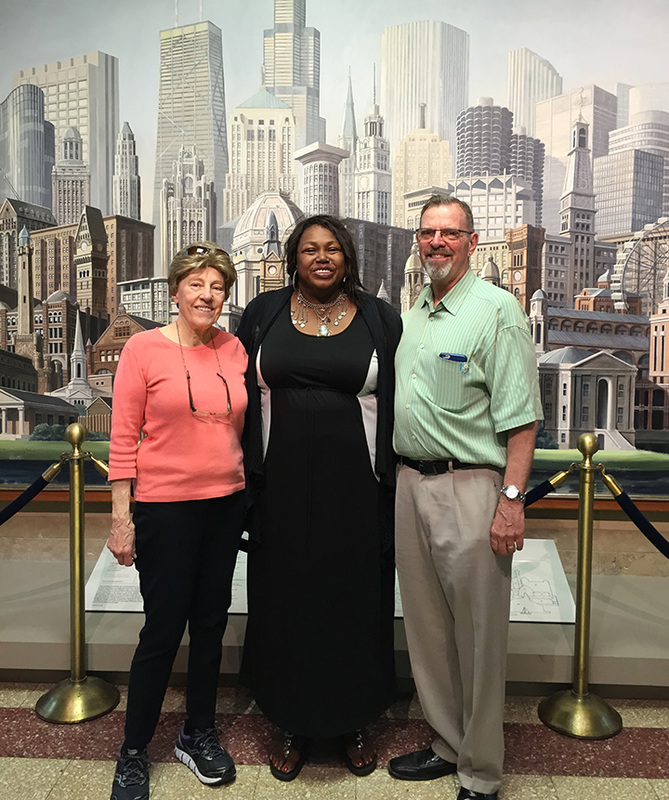 Homelessness among women veterans and families headed by women is a particular problem. Community veteran organizations lack the safe haven and gender-specific support for women, particularly at night and on weekends, when many crises occur. Although the VA has moved in the right direction, all VA health care facilities need to have women’s health care on exactly the same level as the care provided for male veterans. Gender-specific services such as mammograms need to be provided in-house. Case management and all the other services that veterans need must be tailored to women veterans as appropriate. Privacy at clinics for women veterans is a major issue. The risk of suicide for women veterans is reportedly 12 times that for non-veteran women and rose 40 percent between 2000 and 2010. Surveys show that women veterans almost unanimously want separate services from their male counterparts. Women veterans are still not fully accepted as veterans who served and made the same contributions as men, so many do not even identify themselves as veterans. We demand that these women, who have served their country with honor, dignity and sacrifice, must be fully accepted and given equal services, benefits and status in all areas. The veterans benefit process is broken and has been for a long time. The last six Secretaries of Veterans Affairs have committed to ending the backlog of benefit applications that currently — on average — take a year and a half and recently constituted over 430,000 cases. The VA only admits to 75,000 cases; much of the backlog has been transferred from the VA to the Board of Veterans Appeals and so are not counted as VA cases. The VA has also transferred resources from educational benefits processing to disability claims to reduce the backlog there. That has created a backlog in education benefits. The key to ending these backlogs is to hire more front-line personnel to handle the cases. These are the personnel assigned to determine whether the cases are valid or not and to process the application. It takes time to hire and train these personnel, but more than enough time has passed over the last decade to have solved these problems. Computerizing the system helping, but the process is labor-intensive and veterans need the people on-site to do the job. Additionally, there are cases under investigation of claim documents that affect veterans’ cases being shredded. This is the kind of error that feeds veterans’ rampant distrust of the VA. When a veteran raises her or his hand and is sworn into the military service, they have become part of the defense of this country. They are provided for and trained to be all that the military service requires; no expense is spared while they are in the service. But part of that expense is the care for veterans upon discharge from the service and their families who have also served along with the veteran. This country has gone to war, but in many cases has shortchanged those who served once they have left the service. It is time we reversed this shortcoming. 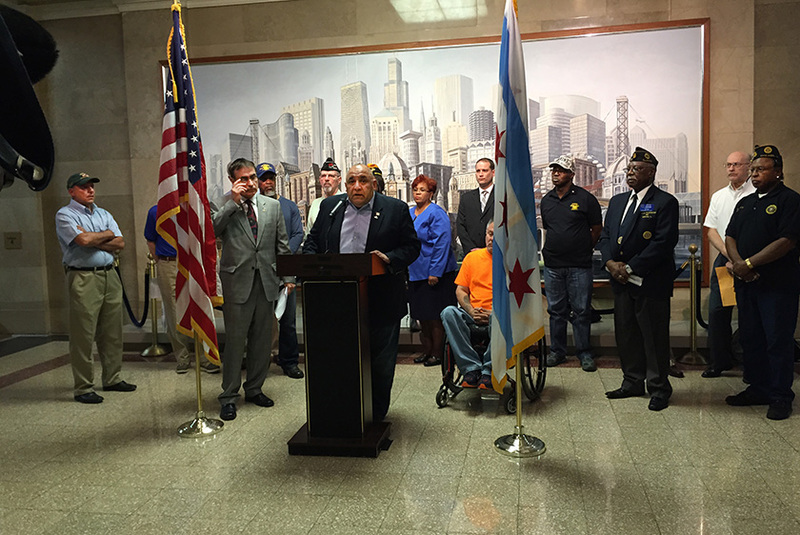 We call on all our elected officials to stand up and be of service to the military veteran. We call on the veterans to stand up and be of further service in electing, educating and facilitating our elected officials in these tasks. 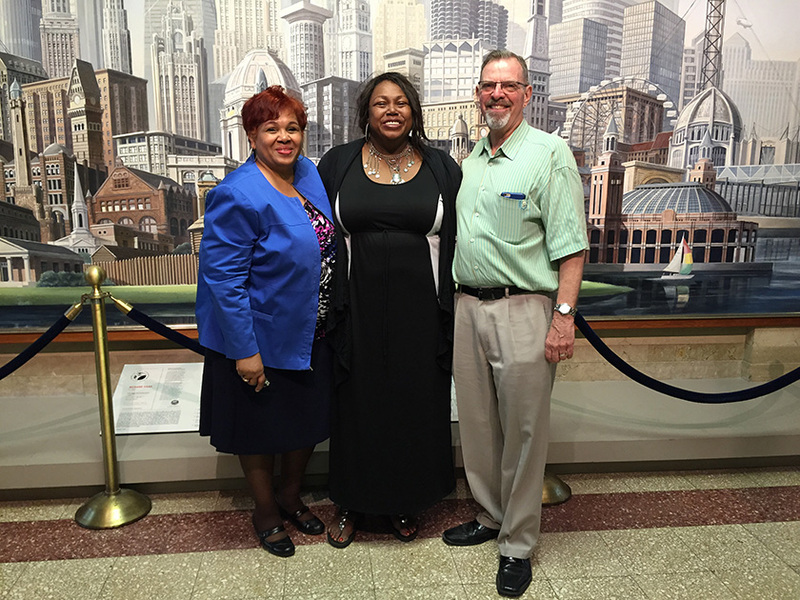 This entry was posted in News, Photos and tagged chicago, City Hall, press conference by CVO Webmaster. Bookmark the permalink.